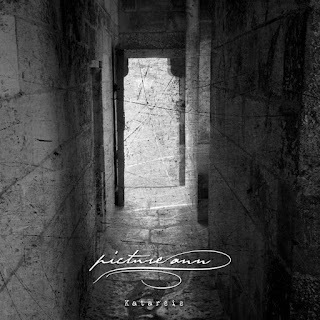 This is a review of another recording from Denmark's Picture Ann which is done in more of a dungeon synth style and the ep is called "Katarsis" and was released by Floodgate Moods Productions. Ambient style syths start off the ep and also gives the music an ambient feeling along with some touches of dungeon synth and acoustic guitars are also added onto the recording after awhile and all 3 of the tracks are instrumental while also sounding very different from each other and the last track is more organic and experimental. On this recording Picture Ann plays a style of dungeon synth which also uses acoustic guitars which also adds some originality to the genre while everything remains instrumental and the production sounds very dark. In my opinion this is another great sounding ep from Picture Ann and if you are a fan of dark ambient, you should check out this recording. RECOMMENDED TRACK "The Speer Cathedral". 8 out of 10.